"and you shall take the anointing oil, pour it on his head and anoint him." Will someone please fill it with oil and anoint the King? One question I often get asked is, "What are you talking about when you say someone is anointed, a prophet, or a king?" I have been around several Prophets and worked as a personal assistant for one, for many years. I will share some of my personal experiences and what I have learned. But I will need to write more than just one blog, on this subject. For now, I will cover my opinion on Prophets of today and I will also use one of the Prophets from the Bible, as a reference. There is always an attack to try and SILENCE the prophet. Throughout the Bible, you will often notice a period of time, where Prophets are silent. They are either running from someone, that is trying to kill them, or they are hiding from those that are trying to hurt them. Most Prophets seem to go through periods of isolation, depression, and loneliness, as well. I often joke with the Prophets that I know and I will say, "WOW! No wonder Prophets hide in caves for years." I say this because the attack is so severe. People never seem to stop, going after them. "Your head on a platter"... Whatever it takes to keep a Prophet quiet. I believe, it's because... One voice, One heartbeat, or One song, has the potential of reaching Millions of people (through Jesus), and bringing restoration to our souls. The Chief Musician, The Poet and Writer of the Psalms, The creator of 200 instruments, The One that had the gift to cause demons to flee, The Shepherd Boy, The One who slayed the Giant, The Victorious Warrior. The ANOINTED One, The PROPHET, The KING." He is none other than, King David. David was anointed by Samuel as King when he was just a teenager. David was tending to his father's sheep. Samuel went to his house, took his horn and poured oil over his head. At that time the Spirit of God came upon David, also known as the ANOINTING. Although, David didn't step into his DESTINY of being the King, until 15 years later. So does this mean that he wasn't anointed, during those years that he wasn't actually the King? David was being prepared to REIGN as King. "though I walk through the valley of the shadow of death, I will fear no evil." 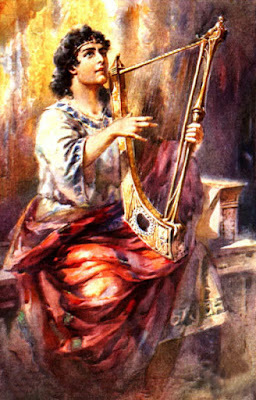 The one thing that impresses me the most about David is, his gift to cause demons to flee, when he would play his harp and sing. Prior to David becoming King, Saul was the King and he was tormented by an evil spirit. Those that lived in the Palace and worked for the King, suggested that he have David come and play for him. King Saul did as they suggested and summoned for David. He was so impressed with David's gift, that he also gave him the position as one of his armor-bearers. However, King Saul became jealous of David, once he heard that David was anointed to be the next king and he tried to kill him. David ran and hid for a year from King Saul. He was fearing for his life. At one point David had the opportunity to kill King Saul, but he was obedient to God's word. He understood one thing... "Touch not my anointed and do my Prophets no harm." David wasn't perfect, though. After King Saul's death, David stepped into his DESTINY as King. He loved music, he loved women, and he also killed a man. Yes, you heard me correctly! During his reign as King, David committed adultery. He then committed murder, to try to cover up his adultery, and to conceal a pregnancy. YIKES! So, why was he called, "A Man after God's Own Heart?" 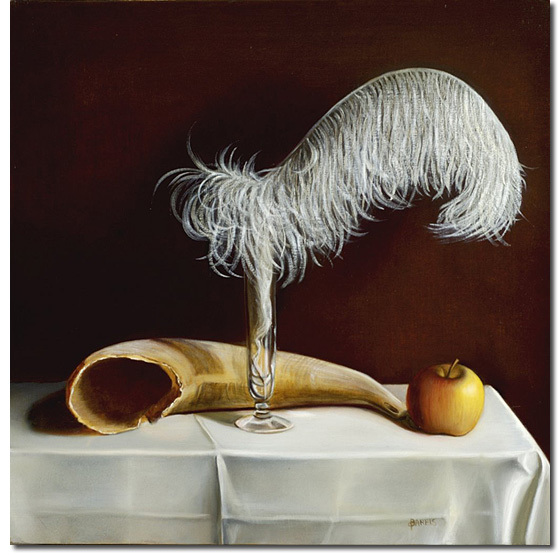 Why would an adulterer and a murderer be considered, "The Apple of God's Eye?" What did he do, to receive these Titles? but the Lord looks at the heart"
You see, God isn't looking for perfection, He's looking for someone who loves Him. King David worshipped and praised God. 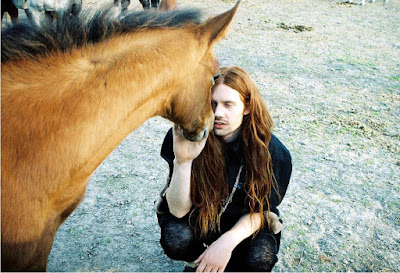 Through his music, through his words, in his distress, in his fear, in his loneliness, and in his happiness. He acknowledged God ABOVE all and IN all, that He did. He wasn't ashamed of His love for God! He was REAL and people want a leader who is real. He was also VERY real with God, read through the Psalms and you will SEE for yourself. He never sugar coated how he felt about God, himself, or his enemies. Today the horn is dry and this generation is seeking the One, that will stand up and be a VOICE. The One that is not ashamed, the One that will POUR out the Oil, and give them HOPE. The One who has the gift of music, to cause the demons to flee and bring RESTORATION to our souls. Is there a Prophet amongst us? and God knows it ain't His"
Very wise observation!!! ;) Thank you for the comment. I so love what you wrote on the Prophet~ anointing, music that makes demon flee and David. David's among the closest to my heart among the Bible characters.He's so transparent and sincere to God. These are virtues I'd like to acquire. This month of June, I was sharpening my sense of hearing and imagination to make me sleep. 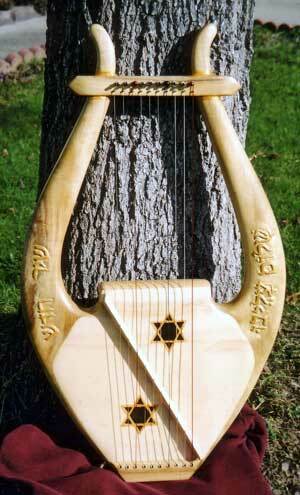 I do listen to soothing instruments and the Song of Songs ~ the voice of Solomon has brought back peace to my heart. Oh, we do need a prophet among us. Something for me to learn...thanks. You have just taught me about the trait of David that is admirable and worth-emulating...his sincerity in his faith in God. @Melissa AMEN and AMEN! YES, we do!!! ;) I admire that King David was true to God, even though he sinned and made mistakes. It shows that no matter how many mistakes we make, God will NEVER leave us or forsake us! Awe, I love that the Song of Songs has brought peace to your heart! That IS truly BEAUTIFUL! @JANU You're welcome! Thank you for reading and commenting! @Irene @ Inspiration From The Little Things Thank you for the SWEET compliment! I agree! He was definitely sincere and true to God!!! @Gorgeous Beauty Tips You're welcome and thanks for the comment!